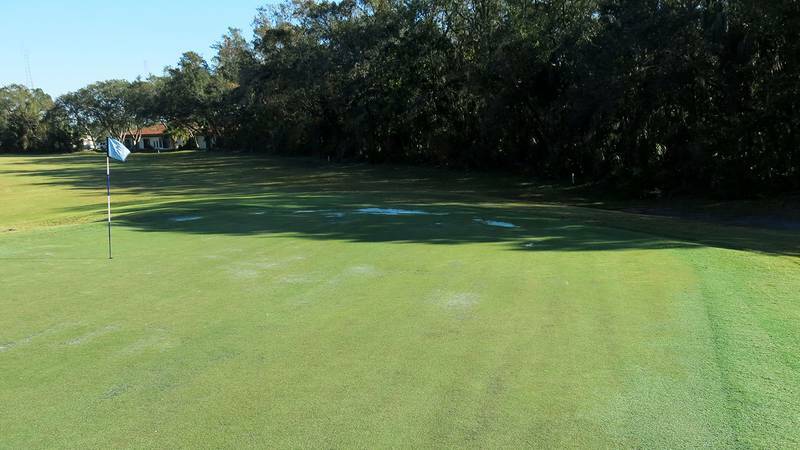 USGA Article: When Trees And Grass Compete- Trees Win! 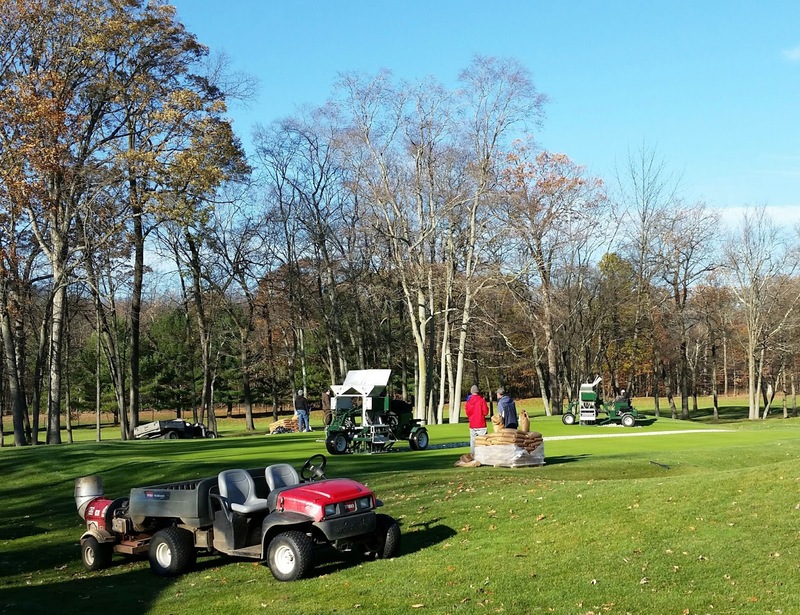 We continue to make excellent progress every season with our selective tree pruning, removals and root pruning. We will continue to reap the rewards! When trees compete with turf for resources, playing conditions often decline. Every golf course has a finite amount of space, sunlight, nutrients and water to support plant life. Unfortunately, trees and turfgrass often compete for these resources, and they don’t always like to coexist. Remember, it is unusual to find trees in grassland prairies and we don’t often find turfgrass under forest canopies. While trees can enhance a golf course, they also require continual management to prevent them from causing turf issues. Trees near putting greens require special attention because they can cause serious problems on these important playing surfaces. Consistent tree management helps limit competition between trees and turf for sunlight, water and nutrients. Trees have an obvious height advantage over turf when it comes to capturing sunlight. Putting green turf is also at a major disadvantage in terms of leaf area available to capture sunlight. To compensate for limited leaf area, most high quality putting greens require full sun conditions throughout the day. Trees also block air movement, negatively affecting the turfgrass growing environment. Insufficient air movement contributes to wet, soft playing surfaces that are slow to dry. Disease and turf loss are more common in areas that remain wet for extended periods. As such, it should come as no surprise that the most problematic putting greens on a golf course usually are the ones surrounded by trees. When problem trees are removed, these same putting greens often perform better. Competition from tree roots is another issue. The majority of tree roots are quite shallow, often occupying the same space as turfgrass roots. This results in competition for water and nutrients, a battle that trees will usually win. Tree roots also frequently grow into putting greens, damaging drainage systems and in some cases even disrupting ball roll. For these reasons, root pruning is periodically needed around trees growing in close proximity to fine turf areas. Furthermore, tree debris causes playability issues and can damage the blades of expensive mowers. 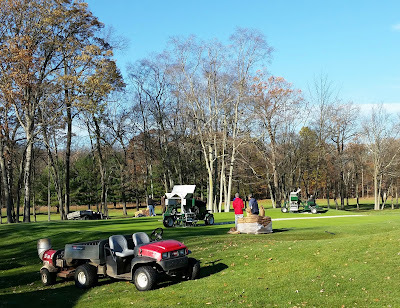 Many valuable labor hours are required to remove tree debris from putting greens each year; labor hours that could have been allocated to other tasks. There are also some trees – such as hackberry, juniper, oak, sycamore and black walnut – that produce natural chemicals that can be toxic to other plants, including turfgrass. Trees can be lovely to behold, but their location on a golf course must be carefully considered to avoid difficult and costly turf problems. Successful tree management requires routine monitoring, mapping and, when necessary, selective pruning and removal to maintain healthy turf. The greens are recovering nicely from the aerification process. By the middle of next week we should be back to normal. 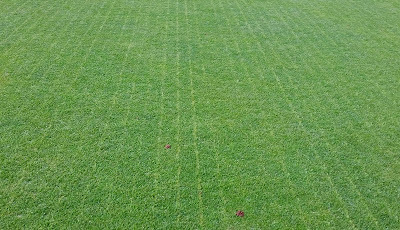 I am excited to see exceptional germination of the Creeping Bentgrass we overseeded into the turf! Notice the lines of germinated seed! 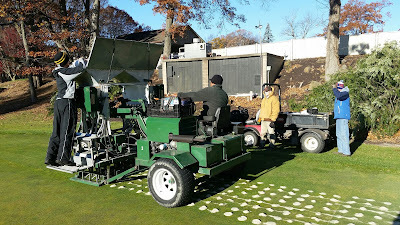 Aerification of the greens is the most important piece of the maintenance puzzle. It is integral to our ability to provide a consistent quality putting surface throughout the season. I know... Greens are great and then we aerify. Truthfully, we have worked hard to manipulate when, how and what we do to minimize member inconvenience and maximize the indisputable agronomic benefits of the process. Our goal is to continue our long range plan of increasing the creeping bentgrass population on greens, reduce compaction, manage thatch, improve soil oxygen exchange and the list goes on. It is a delicate balancing act and we are reaping the rewards with our ever evolving maintenance regime. I won't bore you with more technical details. We started Wednesday with the aerification and overseeding process. The weather was perfect!. The root system of our greens are most weak at the end of August. I am always concerned that root systems may be overly compromised in late August and we might do more damage than I find acceptable. Remember, My goal is to have the greens back in shape in two weeks. Aerify greens with 5/8 inch hollow tines. Topdress greens and make sure holes are completely filled "top to bottom" with sand. This is important because holes that are not filled correctly will be an agronomic problem. I will not bore you with details. 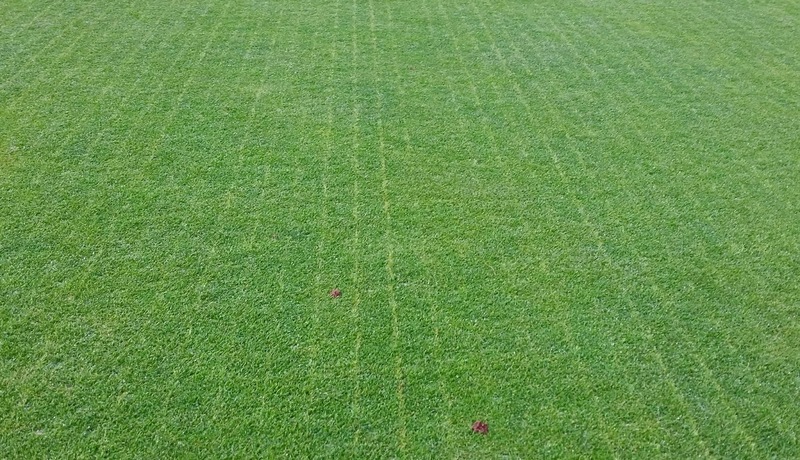 Use overseeder, with aggressive blades, to introduce a variety of the best creeping bentgrass cultivars available. Topdress lightly again which ensures smooth greens in two weeks. Drag the greens again, using a light bristle brush to fill every hole and groove from aerifier and overseeder. It is important to have the correct amount of sand down right away or we will chase bumpy greens well after two weeks. Apply appropriate wetting agents, fertilizers and plant protectants to facilitate turf recovery, root growth and seed germination. Fix your ballmarks because greens will be softer than you are used too! Another Great Winter For Tree Work! We continue to improve the golf course in the off season with selective tree removal. Benefits to turf health and playability continue to be of primary importance and players reap the rewards.